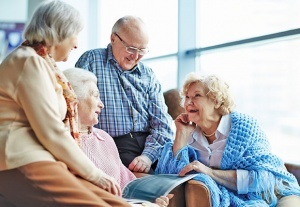 Learn how to embrace humor to for your mind, body, and spirit at the 2nd annual Senior Living and Learning Seminar on August 24 at the Troy Community Center! Hosted by Catholic Charities of Southeast Michigan. The expo will feature a “Laughter Works” talk. Research shows having fun is good medicine. Attend from 10:00 am to 2:00 pm to freshen your brain, tickle your spirit, and learn to keep smiling. Kay Caskey, ACSW, and Laurie Young, MA, LPC, are holistic health specialists and nationally recognized experts on the subject of health and humor as well as assistant graduate school professors at Western Michigan University. Space is limited, so please RSVP by calling Trista Johnson at 248-559-1147 ext. 3941 or email: johnsont@ccsem.org.